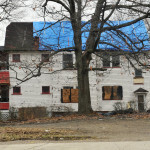 A new report issued by Western Reserve Land Conservancy shows a significant reduction in the number of vacant and distressed structures in 13 of Cleveland’s east side neighborhoods, as well as improving home price appreciation as a result. 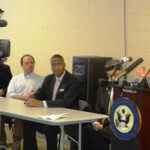 The report was funded by a $100,000 grant from the Quicken Loans Community Fund. 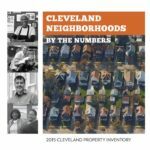 The report, Cleveland Neighborhoods by the Numbers: 2018 East Side of Cleveland Update, provides a parcel-by-parcel analysis of housing conditions captured through the Land Conservancy’s complete property inventory program in 2015 and includes the 2018 update. In 2015, the Land Conservancy surveyed more than 158,800 parcels within the City of Cleveland. 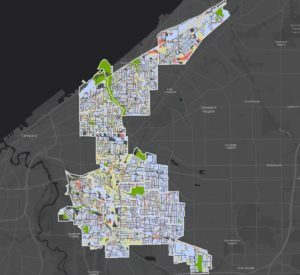 After strategic analysis, the Land Conservancy targeted and completed an update of the data in 13 of the most at-risk neighborhoods on Cleveland’s east side, which included more than 78,000 parcels in: Broadway-Slavic Village, Buckeye-Shaker Square, Buckeye-Woodhill, Collinwood-Nottingham, Fairfax, Glenville, Hough, Kinsman, Lee-Harvard, Lee-Seville, Mount Pleasant, St. Clair-Superior and Union Miles. The update was sponsored by the Quicken Loans Community Fund, the philanthropic arm of the nation’s largest mortgage lender, Quicken Loans. Quicken Loans and its affiliated companies, including the Cleveland Cavaliers and JACK Entertainment – who are both proudly headquartered in Cleveland – are committed to Cleveland’s future and routinely engage in collaborative partnerships with private and public stakeholders to help shape the best path onward. Additionally, Quicken Loans and its affiliated companies have provided tens of thousands of volunteer hours from its 4,800 team members since 2015, and have invested nearly $2 billion in downtown Cleveland and the surrounding neighborhoods in the last ten years. The Land Conservancy is hoping to utilize the 2015 and 2018 inventory as a benchmark for strategy for the City of Cleveland’s existing and future infrastructure.